Some new gameplay videos have emerged from The Game Awards show earlier this morning. 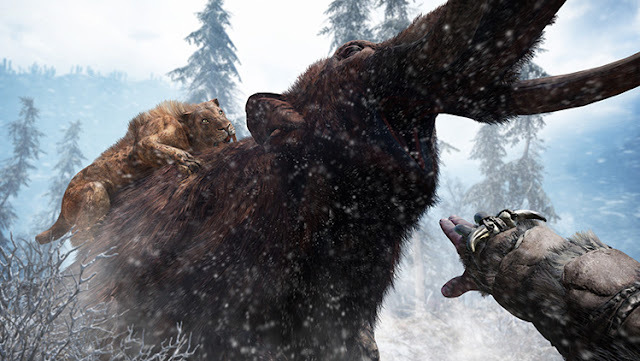 and here's a Developer Walkthrough of the weapons, animal companions & combat..
Looks like a lot of fun, calling on the help of the different beasts in the game. I didn't know these cavemen could actually talk.. thought all they said was Ugga Ugga! Also, haven't seen any crazy villain, like Vaas or Pagan Min..
By the way, I saw a Ubisoft Community Manager also stating that there will be no Multiplayer in this game, so that's a bit of downer. Who wouldn't want to have a Multiplayer deathmatch between 2 tribes?? 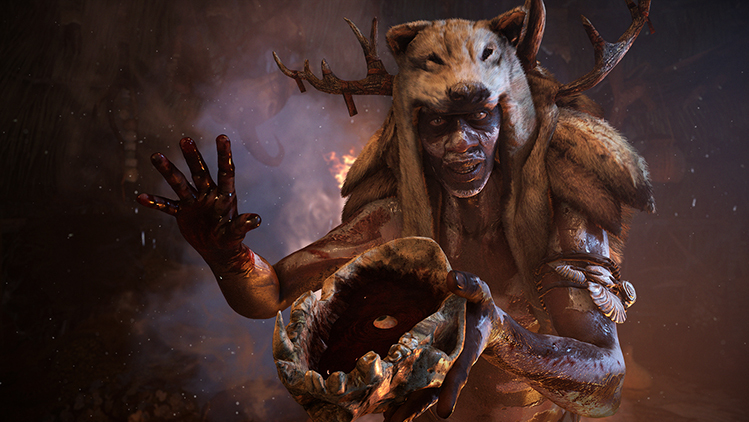 The Far Cry Primal Deluxe Edition was also announced. 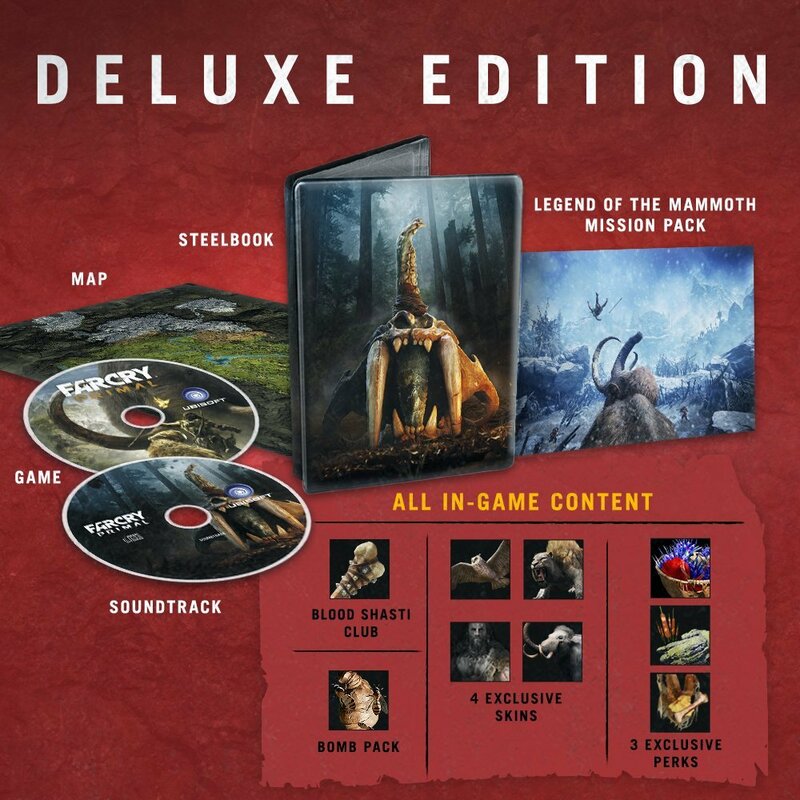 "Packaged neatly in an exclusive SteelBook case, you’ll get a copy of Far Cry Primal, a map of Oros and the game’s official soundtrack." Duel of Beasts – Prove that you are the mightiest creature in Oros as you battle a powerful rhino spirit and his herd. 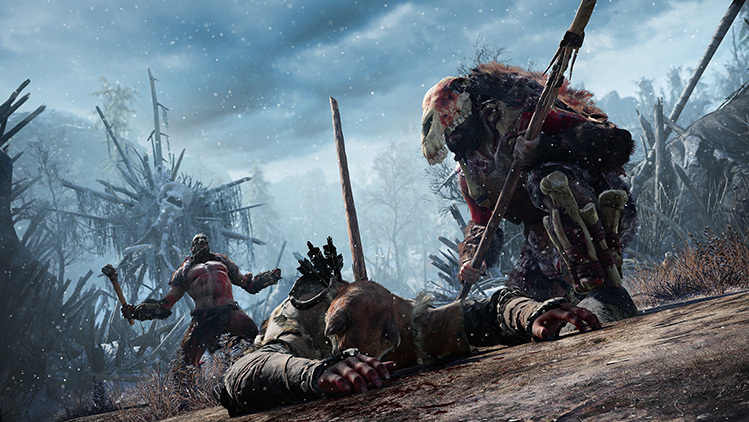 The Trapped Elder – Hunters have captured your leader and you must break into their camp and free him, smashing everything that gets in your way. Hunt the Hunter – Lead your herd into battle and crush those who threaten you. Far Cry Primal is one of my most anticipated games of 2016 even though I haven't touched all the previous Far Cry games. I really need to clear some of my backlog!